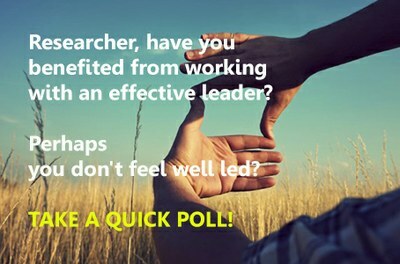 The majority of researchers will not carve out a whole career as a member of research staff. In many countries, research staff or postdoc positions are predominately fixed term contracts and few institutions have research career tracks. Research staff need to look at the range of opportunities available to them to build their career. Here you will find resources useful for this next career step. move into non-academic posts within higher education, including administrative and staff development roles. A high proportion of research staff working in higher education report having gained their current job through their networks. doctoral careers outside higher education. strategies for marketing yourself to potential employers. ‘The career-wise researcher: Develop your career management skills and get the right job for you…’ Information on managing your career, setting goals and presenting yourself to an employer to get the job you want (Vitae, 2013). Careers in Research Online Survey (CROS). ‘What do researchers do? Early career progression of doctoral graduates (2013)'. An Academic Career. Explore the tailored information to find out what it takes to make it as an academic, wherever you are in your career. Preparing for Academic Practice. Website aimed early career researchers, who are considering continuing with their academic career. Employability lens on the Vitae RDF for careers outside academia. Researcher competencies valued outside academia.